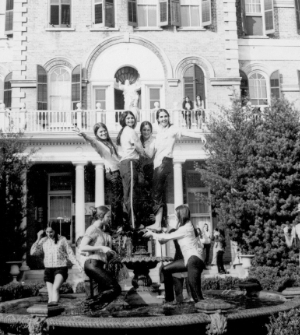 Traditions connect students with each other and with the remarkable Sacred Heart women who have come before them. 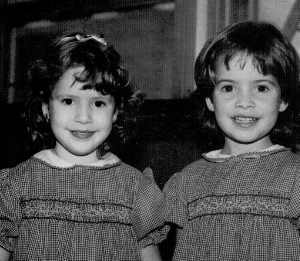 They are an important part of a Sacred Heart education. 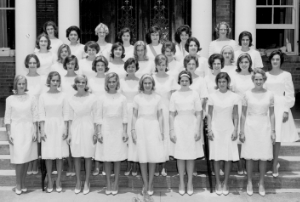 Imagine growing up as a girl at a time in history when young women were not schooled in serious intellectual studies. This was the situation in 1800, the same year Saint Madeleine Sophie Barat founded the Religious of the Sacred Heart in Paris. 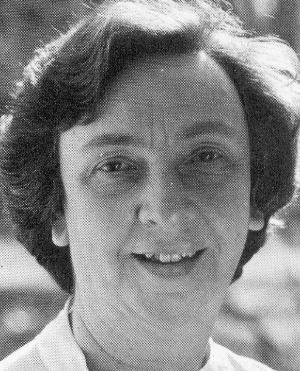 Her vision was to provide young women with an education – built on the Christian values of faith and compassion – that would empower them within the turbulent society of their time. 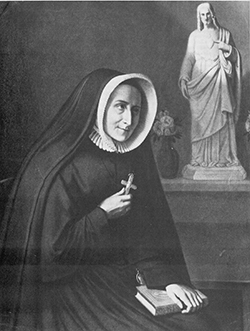 Madeleine Sophie Barat founds the Society of the Sacred Heart, dedicated to the education of young women. 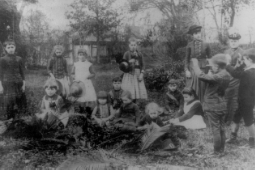 First pioneer missionary Philippine Duchesne, and four other Religious of the Sacred Heart; (RSCJ) arrive in New Orleans to establish schools in the "New World." 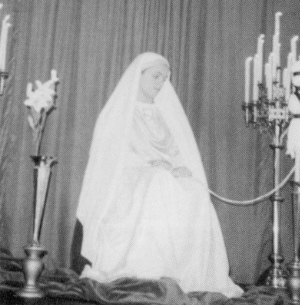 Mother Pauilne Perdeau (1815-1895), a young Sacred Heart novice, paints a fresco named "The Madonna of the Lily" in Rome. 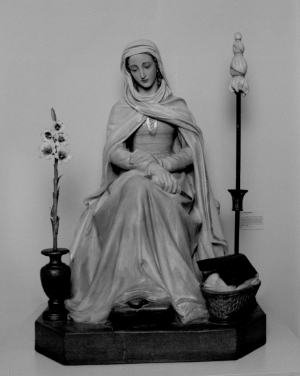 Today, "Mater Admirabilis" has become the patron of Sacred Heart schools everywhere. 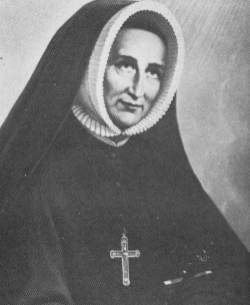 Reverend Mother Anna Shannon of St. Michael's purchases the 1843 Lesconflair House in the Vieux Carré. 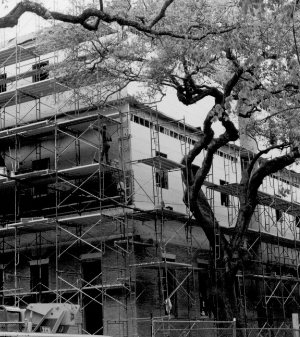 In November, RSCJ return to New Orleans where they open the first Sacred Heart school, Mater Admirabilis. 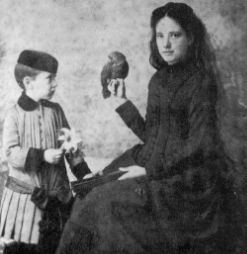 Angelina Cietcovich (later Mrs. Michael Baccich, 1869-1925) completes Superior Class at Mater and graduates in 1886. 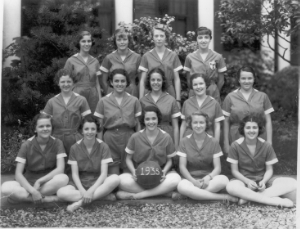 47 of her descendants over 6 generations were Mater or Rosary students. 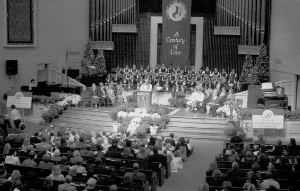 As the population of New Orleans expands into the uptown area, Rev. 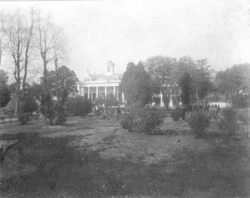 Mother DuTreil, RSCJ decides to purchase the John Calhoun – Peters – Rivers estate at 4521 St. Charles Avenue. 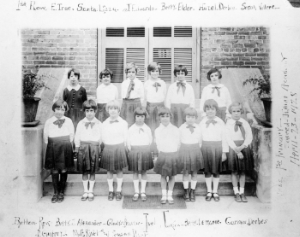 The second Sacred Heart school in New Orleans opens with three children in its first class – the first home of the Rosary. 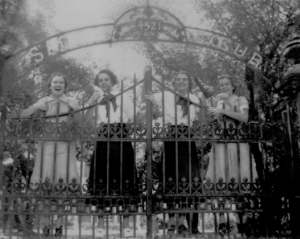 First student body at recreation. Note: yes, there are boys as students. First student body graduation at the Rosary. 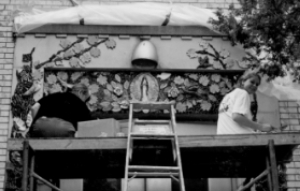 Bronze statue of the Sacred Heart is lifted into niche on front gallery. Chapel construction is complete and ready for the Rosary's first service. 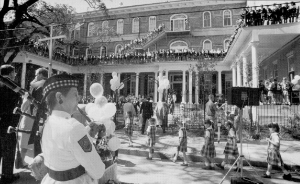 The Mater Admirabilis' Free School for children of Creole background in the French Quarter expands at a rapid pace, 150 students enrolled. 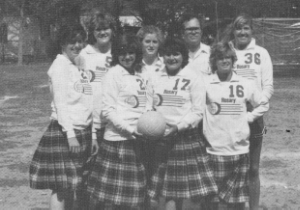 Physical education was always a part of the Sacred Heart curriculum – lawn tennis and basketball in what was named Rosary "park". 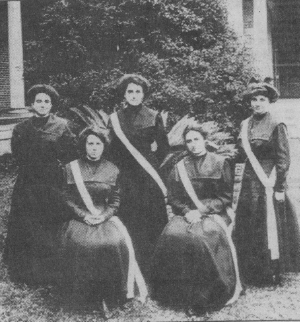 The class of 1911 includes Mother Louise Soniat, who the Middle and Upper School library is named after. 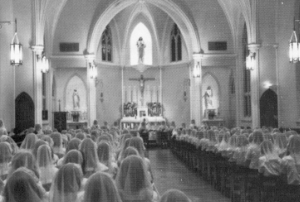 She taught at the Rosary from 1948-1971. 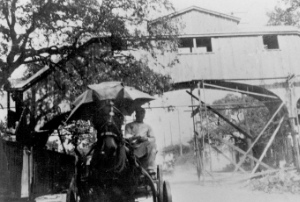 The first bridge over Carondelet Street is constructed. 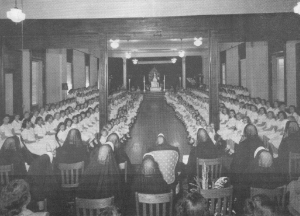 Evolution of the Rosary: third floor dormitory was added for student boarders, and a two-story chapel and assembly room – one on each wing. 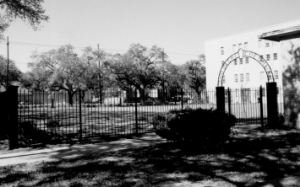 The Mater Admirabilis school is sold to the Archdiocese for $20,000 – the Society focuses on one primary Sacred Heart school in New Orleans. 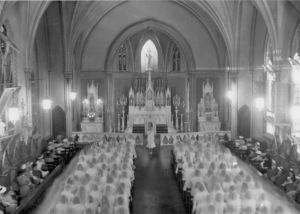 Mardi Gras at Sacred Heart in 1917. 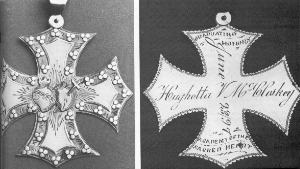 Gift of the statue of Mater Admirabilis by the class of 1919. 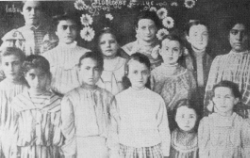 First primary classroom photo taken in 1928. 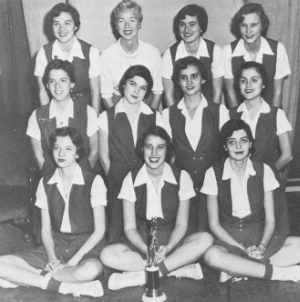 The Cardinals' Varsity Basketball team in 1935. 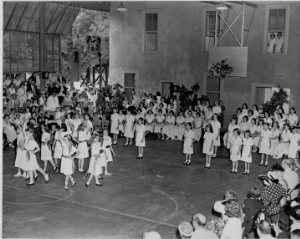 It's "Carnival Time" at the Rosary, circuit 1936. 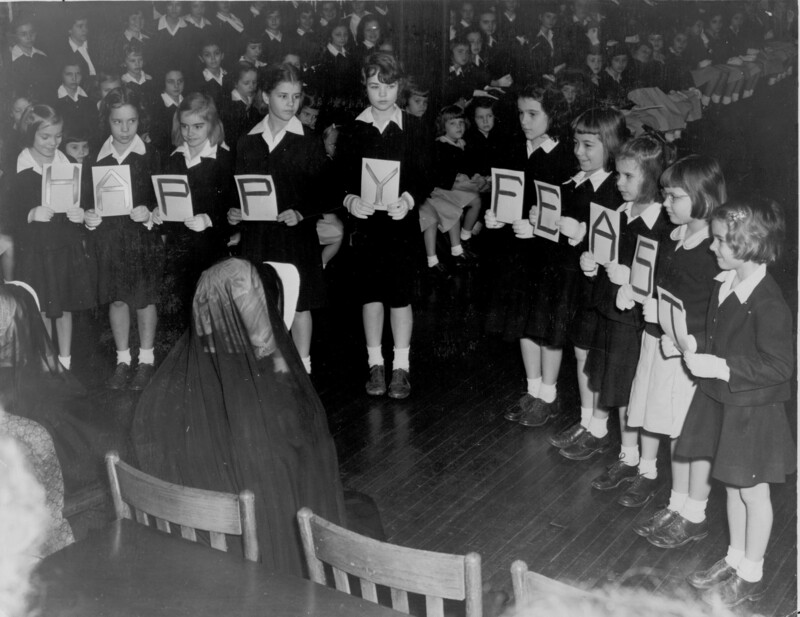 Sacred Heart girls celebrate in typical tradition the end of the school year in 1937. Celebration of the Rosary's Golden Jubilee, greeting French Poet Paul Claudel (1868-1955). 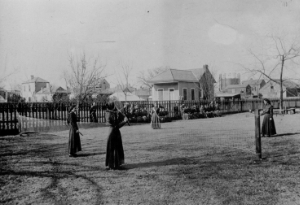 "Pneumonia Den," also known as "The Shelter" is built as a response to an early wave of athletic prosperity. 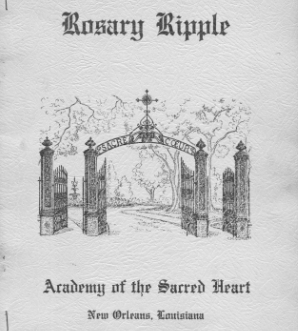 First issue of the "Rosary Ripple," a precursor to the yearbook, is published. 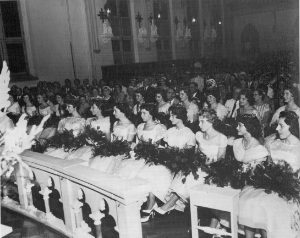 Graduation ceremony in the Chapel in 1940. 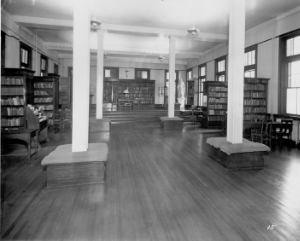 The Soniat Library in the '40s. 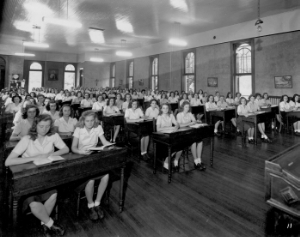 Study hall in the '40s. 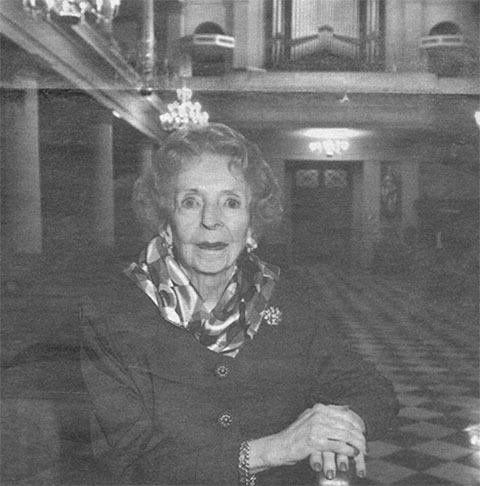 Dr. Elise Cambron '35 is appointed the organist at S. Louis Cathedral where she has enjoyed an illustrious 62-year career as music director and organist. 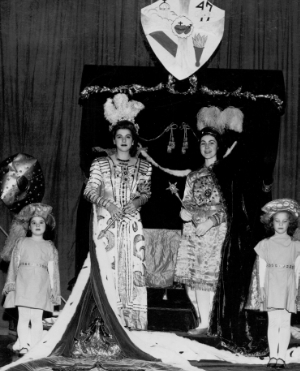 Carnival at the Rosary in 1947. 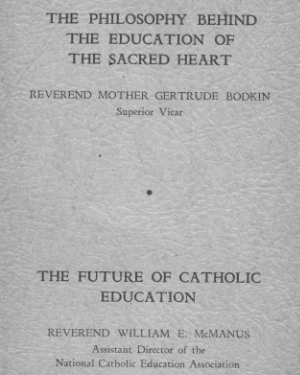 Reverend Mother Gertrude Bodkin articulates the philosophy of Sacred Heart education in her booklet: The Philosophy Behind a Sacred Heart Education. 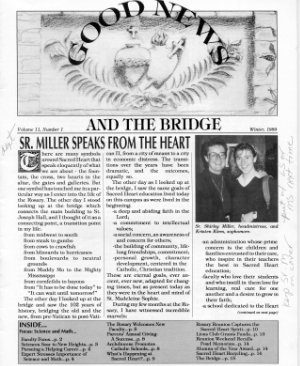 The first issue of "The Bridge" (formerly "Good News") is published. Basketball champions celebrate 10 years of undefeated league play. 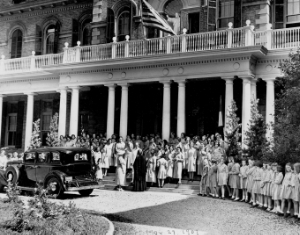 Duchesne Hall opens (presently where our modern day gym still resides). 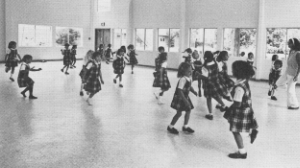 The Rosary expands by adding a cafeteria and three new classrooms. 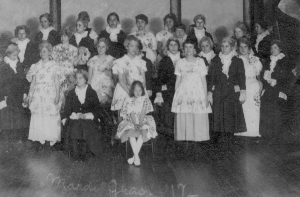 The class graduation picture in front of the school, a tradition as much then as it is today. 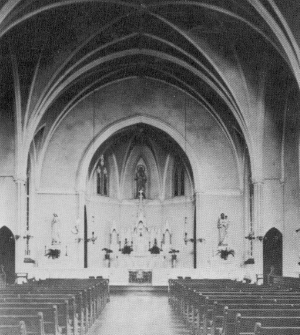 The chapel is renovated, resembling much of the same features as today. 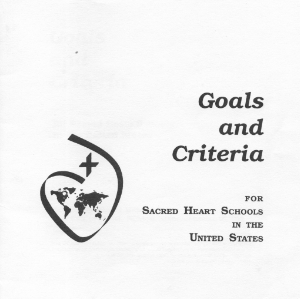 The Network of Sacred Heart Schools' 5 Goals and Criteria are formulated and explicitly stated. 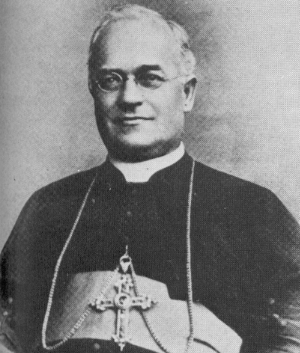 William Gallop becomes the first lay Headmaster of Sacred Heart, the fist time a capsule is buried. 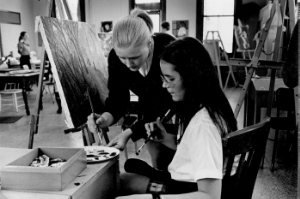 Art in the '70s at Sacred Heart. The Varsity Basketball team with coach Jim Roth. 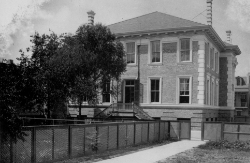 Mater Hall building is constructed for more assembly space and classrooms. 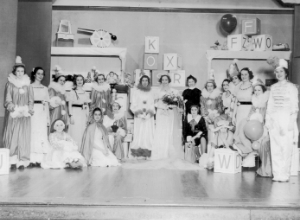 The ASH-FIN (faculty infant nursery) program opens. 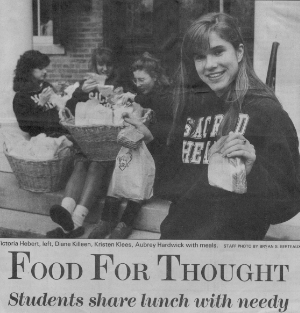 Gymnastics at Sacred Heart, Linda DeRussy '83. Margaret Brown, RSCJ is named Headmistress of the Rosary. 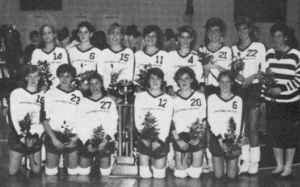 Meet the 1986 Louisiana State Volleyball Champions after winning finals with Coach Debbi Surgi – the first of 11 state titles. 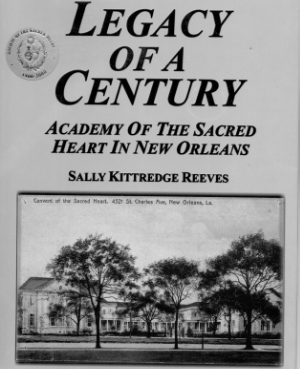 Centennial Year of the Rosary campus on St. Charles Avenue is highlighted by the publication of "Legacy of a Century," written by alumna Sally Kittredge Reeves '60. 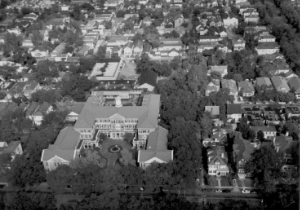 Aerial view of Sacred Heart New Orleans, the Rosary campus. 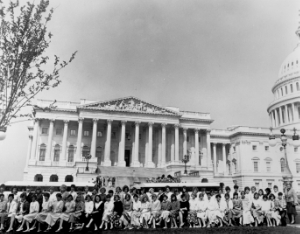 The class of 1989 goes to Washington, D.C. for the Bicentennial of the Constitutions and Bill of Rights competition. 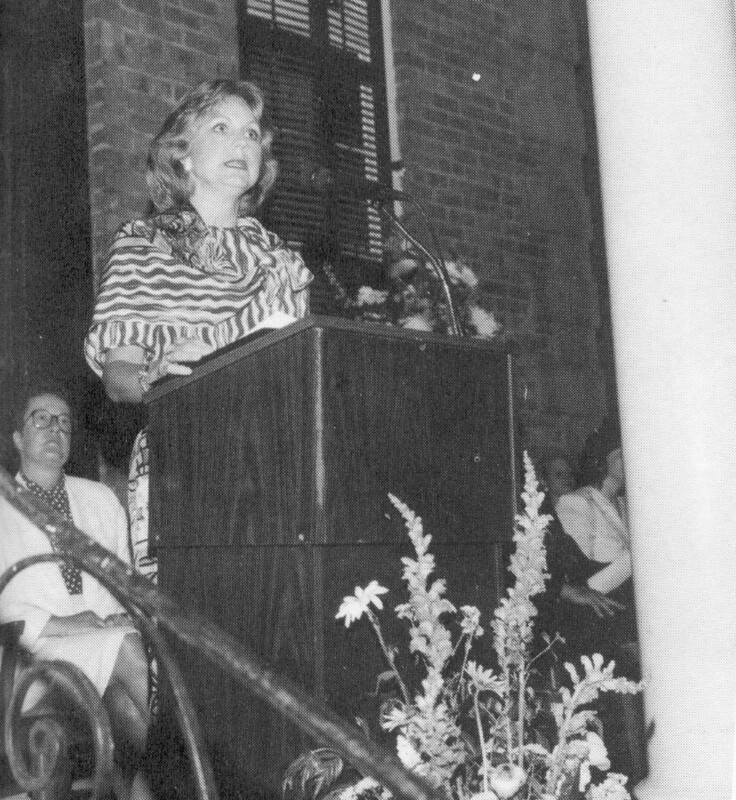 Ambassador Corrine "Lindy" Boggs (at far right congratulates the class on state winners and 5th place nationally. 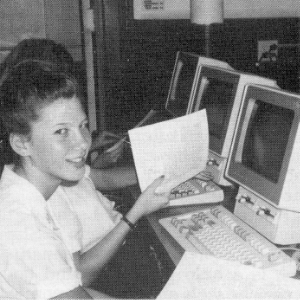 The 1989 computer class program commences at the Rosary (Emelie Burns). Susan Wegmann with preschoolers at the Feast of Mater Admirabilis. 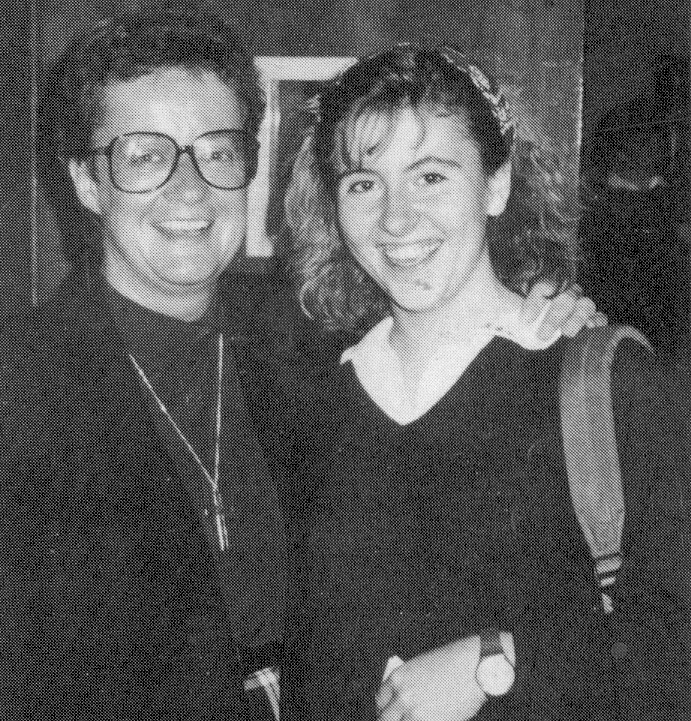 Shirley Miller, RSCJ is named Headmistress of the Rosary, with sophomore Kristen Kleer '91. Hearty Meals program is established (Goal 3). 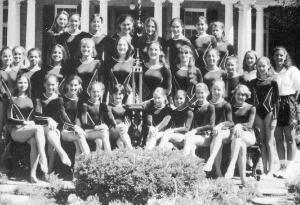 Gymnastics State Champions (3rd title for Sacred Heart). Honorable Edith "Joy" Brown Clement '65, an alumna and U.S. District Court Federal Judge, gives an inspirational address at graduation. 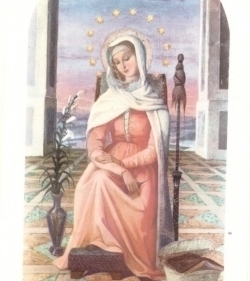 150th anniversary of the Mater Admirabilis fresco. Student Mary Holtgreve, '95, dressed as Mater. 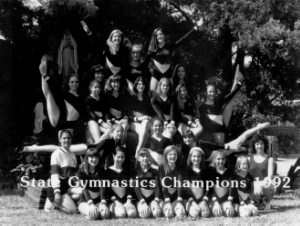 Gymnastics State Champions (6th title). "Forging the Future, Preserving the Past." 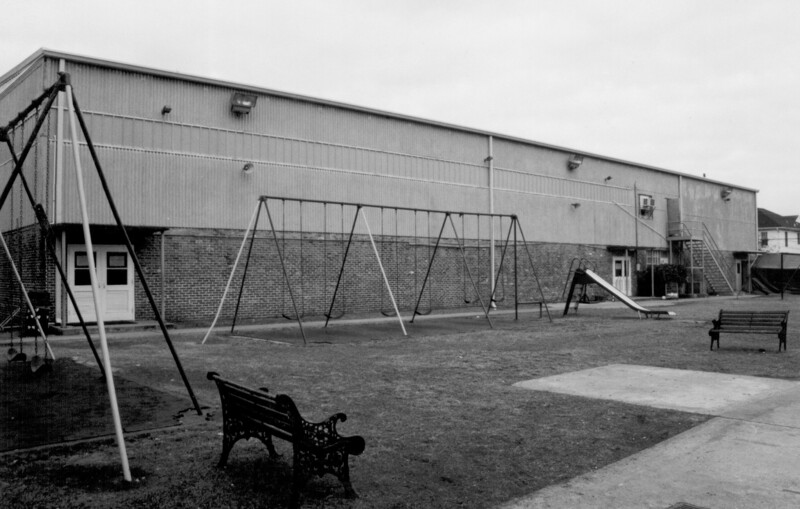 Capital Campaign funded a new Science and Technology Wing at the Rosary campus. 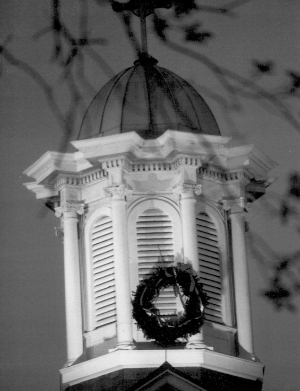 A restoration of the cupola is undertaken and completed with its lighting. 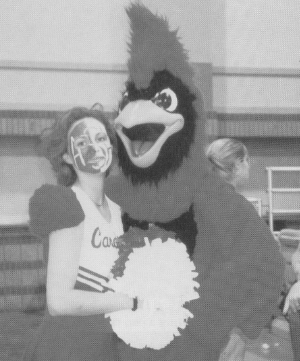 The Cardinal mascot "Ashley" makes her debut. 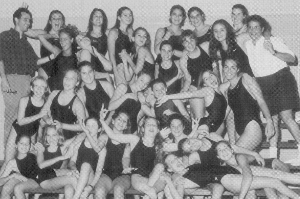 Swim team wins its first State Championship. 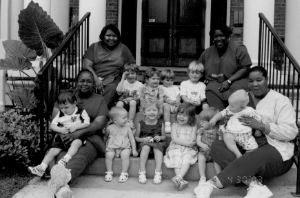 Freret St. Project – Learning partners in memory of Sr. Rita Karam, RSCJ. Final renovations are completed for the Mother Louise Soniat Library and Science and Technology Wing. 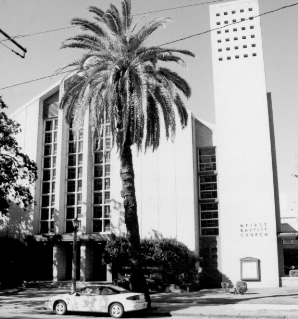 First Baptist Church of New Orleans congregation votes to relocate in the Lakeview area. 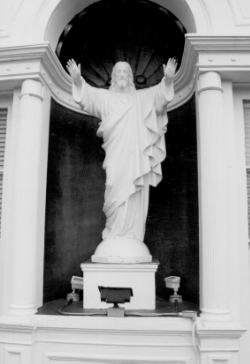 Church representatives approach Sacred Heart about purchasing the property. Art in action, Giuliano Ieronimo and students create a mosaic entry for Our Lady of Lourdes parish school. Volleyball celebrates yet another State Championship. 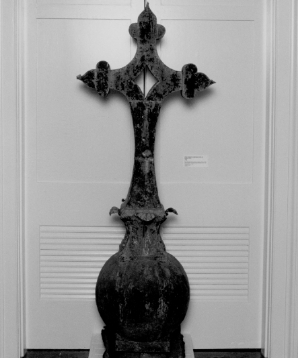 Original Mater Admirabilis Cross from the French Quarter school returns to Sacred Heart by permanent loan from the Louisiana Historical Society. Dedication of the new Mater Admirabilis campus with first liturgy by Fr. 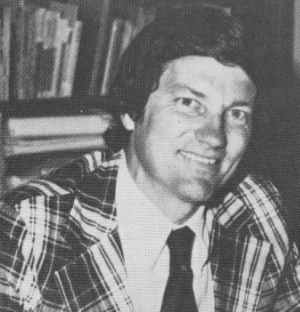 Bernard Knoth, SJ. Sacré Coeur wrought iron is unveiled on the Mater Campus green space. 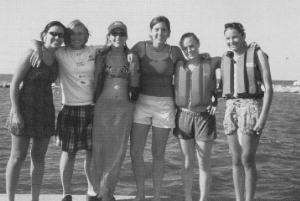 Meet the Sacred Heart Sailing team of 2002. 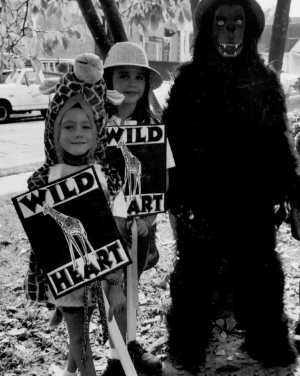 Students prepare for the "Wild at Heart" auction. 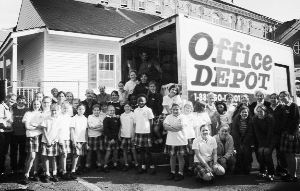 Sacred Heart students send barge full of school and medical supplies to Mission School in Haiti. 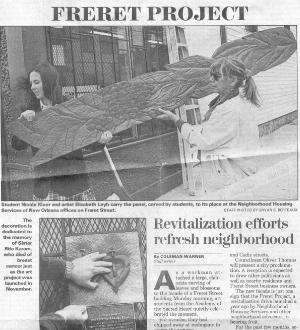 Hurricane Katrina makes landfall in New Orleans and shuts the city and school down for months before residents can return.